HCS Media Network LIVE Broadcast: Girls Volleyball: Hanover (7-4) at Lee-Davis (9-3), 7pm ET! Listen to the match by CLICKING HERE! Here's the action lined up for what's shaping up to be a beautiful first full day of autumn!! Girls Volleyball: Glen Allen (10-1) at Hanover (7-3), 7pm LIVE on HCS Media Network! CLICK HERE or at the "Listen Live" widget at the top of the page to hear the match live worldwide tonight! 56TH TOMATO BOWL: PATRICK HENRY 17, LEE-DAVIS 14: Not a surprise, this was yet another classic close game in the long history between the Confederates and Patriots. And for the third time in their last four visits to Lee-Davis, Patrick Henry walked away victorious. After each team traded turnovers on their opening possession, Patrick Henry marched 94 yards on their first touchdown drive of the season, capped by a 3-yard touchdown run from Hunter Hart, the freshman quarterback starter, to give PH a 7-0 lead at 3:12 left first quarter. The Confederates responded in the second quarter, as Nathan Evans scored the first of his two one-yard touchdown runs. After a false start penalty moved the extra point attempt back five yards, Stephen Hall's kick was partially blocked, and the Patriots remained ahead 7-6. Evans' second TD run gave Lee-Davis a 12-7 lead, and Chase Mummau's pass to Chris Bundy converted the two-point try to make it 14-7. The Confederates had a chance to make it a two-possession game on multiple occasions. Stephen Hall missed a 26-yard field goal from the left hashmark. Lee-Davis got the opening kickoff to start the second half, and couldn't get points. The Patriots hung around, hung around, then started seeing their offensive line get holes up front. Bender Vaught approached 100 yards rushing for the first time in 2014. Down deep in the red zone, Hart called his own number again and scored from less than a yard out to tie the game at 14-14, with 3:28 left in the third quarter. The fourth quarter was a back and forth battle, with PH almost making a fatal error. Lee-Davis got the ball when, on a punt, the officials ruled the ball touched a Patriot blocker before it hit Evans, giving the Confederates the ball at the Patrick Henry 45. But they couldn't get points again, an achilles heel that helped cost them the game. The Patriots final drive made the red zone, but stalled at the ten. Enter Logan Bulthuis, who nailed a 27-yard field goal to take the 17-14 lead. Lee-Davis still had a shot. They drove downfield quickly, using the no-huddle offense, trying to save timeouts. The best play was a third down when Mummau was flushed out of the pocket. Rolling right, looking as if he'd throw it away, he found Nick Winston, squatting near the 23. Winston caught it, turned left, beat two Patriots and made it to the 10-yard line. First and goal Confederates. After a timeout to call the play, Mummau looked to connect on the back fade route in the far corner of the end zone. The only problem was the ball was thrown 3 yards too far to the right, more inside the end zone near the end line, and not at the pylon. Cade Harris saw it and made a leaping catch for the turnover. When James Pinder gained 20 yards for a first down and the scoreboard showed a minute to play and just one Lee-Davis timeout, the celebration of the Ashland faithful began. Hart's numbers were small, but his game management and positive attitude, as a freshman, in the midst of a Tomato Bowl, was impressive. Patrick Henry has had quarterback issues since Brandon Cash's final season in 2008, PH's last winning season. That may, may finally be over. Vaught rushed for 87 yards, Pinder had 52. For Lee-Davis, Evans rushed 20 times for 68 yards and the two scores. Mummau finished 12-of-22 for 146 yards and two interceptions. Lee-Davis hosts Varina, now also 1-2 after losing to Hermitage, next Friday, while Patrick Henry, at 1-2, goes to 1-2 Mills Godwin. #2 ATLEE 49, #6 DOUGLAS FREEMAN 7: For those who didn't believe Atlee deserved the #2 ranking in our poll, tonight should quell those thoughts. The Raiders defense was relentless, while Loumond Dandridge rushed for three touchdowns as Atlee ran away from Douglas Freeman by halftime, then methodically finished their work in the second half to move to 3-0. Atlee has outscored their opponents 168-27 as they head to battle fellow unbeaten Henrico next Friday. Rasharrd Harris through two touchdown passes, and Ethan Ratke hit seven more extra points. He's 24-for-24 so far this season. HANOVER 28, HOPEWELL 14: In a battle of sophomore quarterbacks, Clayton Cheatham stole the show, rushing for three Hawks touchdowns, one putting the game away with 1:21 left to give Hanover a 3-0 start. Ryan Mallory scored earlier on a 57-yard run. Cheatham ended with 139 yards rushing. The Hawks will face fellow 3-0 Highland Springs, #4 in our Top 10 Poll, in our Game of The Week next Friday, 6:30pm, on 102.9 FM WHAN Radio and online HERE at HanoverCountySports.net from HCS Media Network! #6 Douglas Freeman (2-0) at #2 Atlee (2-0), 7pm: The home opener for the Raiders after road wins over Deep Run and Patrick Henry by a combined 119-20. The defense, led by Chad Vanlandingham, J.J. Givens and Ricky DeBerry finally get a solid test against a Rebels squad looking for their third straight regular season win over the Raiders (49-48 in 2012, 24-14 in 2013). Douglas Freeman has wins over Midlothian and James River, the latter on a defensive goal line stand to end the contest. Hopewell (2-0) at Hanover (2-0), 7pm: This game features two of the best young quarterbacks, not just in the Central Region, but in the Commonwealth. Cameren Hill already has 500 yards passing and seven touchdown throws in the Blue Devils' two victories, while Clayton Cheatham has four touchdowns on the ground and nearly 350 yards of total offense. The winner will look to crack into the Top 10 next week. THE 56TH TOMATO BOWL: Patrick Henry (0-2) at Lee-Davis (1-1), 7pm: Two first-year head coaches collide, something that hasn't happened in this storied game in decades. The Lee-Davis defense turned heads last week, holding Mills Godwin to nine points in a 14-9 victory. Nathan Evans earned 121 yards on the ground while Chase Mummau passed for 204 yards and a score. Patrick Henry is desperate to find something consistent on the offensive side of the ball. Their best chance is to win the war on the line of scrimmage and use the tandem of Bender Vaught and James Pinder as a "Thunder and Lightning" combo, utilizing their differing running styles to keep the defense on their heels. LISTEN LIVE to the Tomato Bowl tonight at 6:30pm on WHAN, 102.9 FM, or online by CLICKING HERE! Time for a second "new era" in high school sports in Hanover County. Atlee moves regions to join Patrick Henry and end their 24-year postseason association with Lee-Davis, while Hanover gets new neighbors in a newly-named region, all part of the 2015-2017 Realignment Plan approved Wednesday by the Virginia High School League (VHSL) Executive Committee. Realignment occurs every two years, including under the old "Group AAA/Central Region" format, based on student enrollment figures, so this process is nothing new. But with all the changes due to the new Reclassification that took effect last year, they take on added meaning as the changes are bigger, a reflection of both fine tuning the new system and responding to a large number of complaints about it. Most complaints made by schools, and school systems, revolved around added travel costs, loss of instructional time for student-athletes, and loss of natural rivalries in the postseason. 1) Atlee to 5A North: In June, the original proposal by the Alignment Committee, in an effort to balance out Conference sizes in the 5A Classification, sent Atlee, Mills Godwin, and Deep Run from Conference 11 to Conference 16. Godwin and Deep Run each appealed the move, as did Henrico County Public Schools in a critical letter from Superintendent Patrick Kinlaw. The appeal was approved, so only Atlee, who did not appeal, makes the move, joining Patrick Henry in Conference 16. 2) Conference 16, Geographically, Is Huge: Atlee not only joins Patrick Henry, but also meets Orange County, Albemarle, and Halifax County, who remain in the Conference. They'll also be joined by, of all schools, Patrick Henry-Roanoke, who moves down from 6A South to 5A South. So, Conference 16 will stretch from eastern Hanover to the east, South Boston to the south, Roanoke to the west, and Orange to the north. Conference tournament travel costs will continue to be large. 3) Lee-Davis "Annexed" Into Henrico: Certainly NOT officially, but as a matter of speaking, the Confederates will spend tons of time with schools in the county to their south and west, as the only non-Henrico school in Conference 11. Lee-Davis will not be able to meet a county opponent in a postseason until the State Semifinals beginning next season. No more Atlee/Lee-Davis showdowns in baseball, soccer, softball, come late May. In our view, that is a shame. 4) Hanover Gets New Neighbors: The Hawks remain in Conference 20, will see their region change names from "4A South:" to "4A East", but see three teams leave and two come in. Caroline moves to a brand new Conference 19, while Glen Allen and J.R. Tucker leave 4A for 5A, Conference 11 to join Lee-Davis. Coming into Conference 20 is Huguenot (up from 3A) and Powhatan, coming over from the imploding Conference 19. These are not appealing playoff rivals for the Hawks, as both Henrico teams disappear, leaving schools either south of the James or in the city with Hanover in Conference tournaments. 5) Patrick Henry Moves Districts: This is VERY good news. 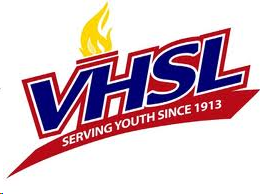 The old "districts" that were to go by the wayside with the old system in 2013 survived, as the VHSL allowed schools to continue to play district regular season schedules. Now there is more autonomy for schools to end district match ups involving teams with great disparity (such as Hermitage and Thomas Jefferson ending their football series after this year even though both will stay in the Colonial District through 2017). There is also this: Patrick Henry is "traded" to the Capital District, leaving the Colonial, their home for well over three decades, while Glen Allen moves to the Colonial. So, in 2015-16, the Patriots will play home-and-home regular season series in most sports against county rivals, rather than play them just once, meaning, for example, a team like Hanover baseball would only travel to Ashland every other year. Now, PH is guaranteed county rivals come to Ashland every season, and vice versa, which should aid in gate receipts, even though this involves the lesser sports. In football, this finally frees Patrick Henry to play other schools in September. Being chained to the Colonial District schedule, they've had to play Hanover, Atlee, and Lee-Davis in the Tomato Bowl for the past 12 seasons in the first three weeks of the season. Now playing a Capital District football schedule, they can play those teams later in the season and either choose to keep some Colonial rivalries or make new ones. Rasharrd Harris threw three touchdown passes in the first quarter and Atlee dominated from the start as the #2 team in our NBC12/WHAN Radio Top 10 poll won their sixth straight over Patrick Henry, their longest winning streak over their county rivals in school history, 56-0. A.J. Zollar had two touchdowns while Loumond Dandridge added a score. The Raiders get their home opener next Friday when they welcome recent rival #7 Douglas Freeman in what will be a battle of 2-0 teams. Hanover hangs 45 on J.R. Tucker tonight, getting touchdown runs from Brooks Coombs and Clayton Cheatham plus an interception return for a score from Tabb Patrick as the Hawks moved to 2-0, 45-13 winners over the Tigers. The Hawks return home to face 2-0 Hopewell, 27-20 winners over Powhatan Friday. Lee-Davis gets its first victory for new head coach Ryan Turnage in a defensive battle, 14-9 on the road at Mills Godwin. Chase Mummau passed for 204 yards and a touchdown while Nick Reisenweaver had three catches for 67 yards, while Nathan Evans gained 121 yards on the ground. The 56th Tomato Bowl: Patrick Henry (0-2) at Lee-Davis (1-1), 6:30pm LIVE on WHAN (102.9 FM) and HCS Media Network here at HanoverCountySports.net! CLICK HERE to listen to tonight's game from WHAN Radio and HCS Media Network! The JV Football game between Patrick Henry and Atlee scheduled for Thursday has been moved up to a 5:30pm kickoff in anticipation of a storm front coming into Central Virginia later Thursday evening. The game will be held at Atlee High School. Make-up registration will be held in the main lobby Thursday and Friday (9/11 and 12) from 7AM to 8:20AM only. They will also be selling parking passes during this time to 11th & 12th grade students with completed parking forms. If you have purchased a parking pass online you must bring your receipt of payment, completed forms, and the parental/guardian signature must be notarized or a parent/guardian must accompany the student to complete the purchase. After this date, parking passes and will only be sold on Tuesday mornings (a change from previous years) from 7:45 to 8:20AM. If you purchased a parking pass online, decals may only be picked up during this time as well. Parking decals will need to be displayed on vehicles by Monday 9/15. It took nearly 30 minutes, but Hanover finally seized the opportunity in the season opener Friday night, breaking Patrick Henry down at the line of scrimmage en route to a 16-0 victory, the Hawks' ninth straight over the Patriots in a game heard live on WHAN Radio and HCS Media Network. Sophomore quarterback Clayton Cheatham wore down the Patriots defense in the second half, rushing 26 times for 176 yards and two touchdowns. Cheatham had a third TD run called back due to a holding penalty late in the third quarter. Cheatham scored on runs of two and five yards, separated by a 25-yard field goal by Marshall Flippen after the holding penalty helped end the Hawks drive at the end of the third quarter. Hanover now goes to J.R. Tucker to face a rejuventated Tiger team that blasted Glen Allen 46-8 Friday to move to 1-1. The Hawks defense will have to answer the single wing formation and the feet, as well as arm, of Tigers quarterback Malik Van Brussel. In other action, Atlee pulled away in the second quarter at Deep Run for another rout of the Wildcats on opening night, winning 63-20. Trammell Carey had two touchdowns, A.J. Zollar got his first varsity touchdown as the Raiders moved to 1-0. The Raiders go to Patrick Henry next Friday on the Game of The Week on WHAN Radio (102.9 FM). Lee-Davis' first game for new head coach Ryan Turnage ended in disappointment as the Confederates fell short in their comeback attempt, falling at home 21-16 to go to 0-1. Lee-Davis must travel to Mills Godwin next week. The Eagles lost their opener Friday at Monacan, 42-25.